All I can say is it is about time. Or maybe woo hoo. Whoopee! Yay! Three cheers. Hip hip hooray! Words cannot express the excitement I and many other women felt when they discovered that Anne Alexander's coming-of-age novel has finally, FINALLY, finally been reprinted! If I had a bigger picture, I would share it in an attempt to convey the excitement I felt when I discovered this novel had been reprinted. If you are just discovering that fact, believe me, it is true. I purchased my copy recently and finally was able to read this book, which I first heard of in around 2009 when I sold my only vintage copy to a very excited buyer on eBay. Unfortunately, my copy was sold and gone to the buyer before I thought to read it and once I discovered how popular it was with some of you I really did want to read it. The original book was written and released in 1959 and I now know some of you read it and read it and read it again. It was a hugely popular success in school libraries and you thoroughly enjoyed the story. I know that many of you have been waiting for this day since you first read the story a long time ago. The scarcity of copies of the original volume and the price at which those original volumes were selling put the book out of reach. Spending $500 to $1,000 on a children's chapter book was and is out of the realm of reason for most of us. It follows a grade nine girl's adventures in high school as she gives up on her good friends in an attempt to be in the "in" crowd. Growing up is always a difficult process and I believe this book to be a realistic version of how some teens would have thought and behaved in the 1950s. I am also sure that pre-teens and teens have these same concerns today though they likely transpire in a slightly different manner. Yes, I would. Some of you who have waited will need no recommendation from me. This book is exactly as you remember it and I know that you are thrilled that it has been reprinted. It is a lovely story, a sweet and innocent romance with some very nice surprises. It was written for middle-school readers so it is an easy but lovely read for an adult. As the author's daughter says in the foreword, "The original middle-school readers and I are grandmothers now...We are pleased that our daughters and granddaughters love the book as much as we did. I bet you'll love it, too." I am not sure if she was talking to me or not but I did love it and I am planning to reread it soon, something I almost never do. 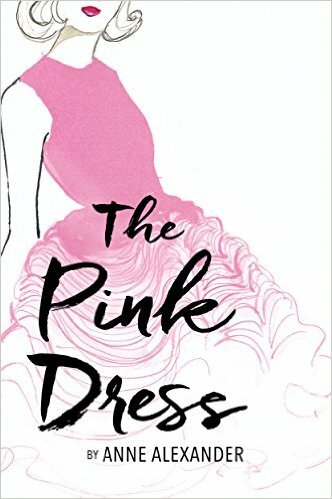 Will you be reading The Pink Dress? You can find the reprinted edition of The Pink Dress in paperback and Kindle as well as the original hardcover version of the book on Amazon by clicking right here. You can read more about the original printing and about the women who loved this book on my page about the vintage book here. I like the artwork, too. I think the publisher or artist did a good job of making the book look fresh and modern but still referencing the 1950s. What do you think? Do you like the new cover? I suppose the other alternative would have been to recreate the original cover. That would have been a pleasing choice, too. Buy your copy of The Pink Dress on Amazon. I'm thrilled to know that The Pink Dress has been reprinted, not so much for me but because I remember when you wrote about it before, Brenda. The reviews are so fun to read; truly this was (and still is) a much-loved coming of age book for girls (now women) around my same age. I'm sorry I missed it back when it was still on library shelves. Somehow I'm guessing this reprinted version will sell many more hard copies than it will Kindle copies, and that those copies will be read and re-read then put away and cherished for girls in future generations. Excellent book review, as always! I must have missed this book when it was originally available, but having been a teenage girl in the 1950s, I'm now quite anxious to read it. Thanks so much for your review informing me about "The Pink Dress". You are welcome, Pat. I did enjoy it and will reread it soon though I have a couple of local friends who'd like to read it, too so if I'm going to do it now, I'd better do it soon! Yes, I feel for the women who really wanted to read the book and share it with their family members but could not. I don't know how I missed this book growing up unless my library didn't have it. I even worked in that public library from 1960 until 1962 and I never heard of it. 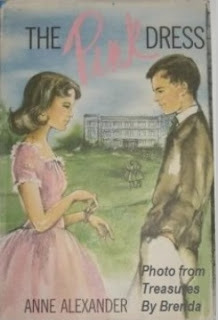 Perhaps I'd moved on to more adult books by the late 1950's, which were my high school years. I think I'd like to read it now to find out what I missed.